Significantly lighter than traditional aluminium systems, this world-class rail flooring solution provides flexible securement of wheelchairs and removable vehicle seating. PLS FlexiRail is a highly durable, lightweight solution that is available in either single or double rails configurations. 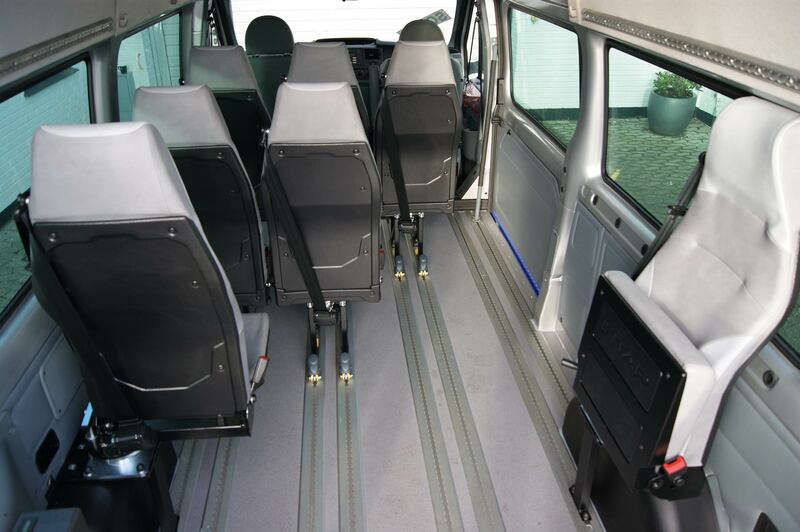 This flooring solution is ideal for all M1-M3, flat floor accessible vehicles and provides versatile positioning of wheelchair tie-downs and adapted vehicle seating. FlexiRail delivers a safe surface to reconfigure seating within a vehicle and alter the position of wheelchair passengers where required. Its straightforward design ensures faster installation than wooden flooring systems and rails. FlexiRail can be supplied with securement extrusions drilled for quick release seating systems or non-drilled for static seat fixtures. Precision, anti-slip floor infills between rails provide a highly robust, seamless surface and FlexiRail is suitable for short, medium and long wheelbase vehicles.